Please note that the systematic reviews, in an effort to summarize the existing research and find the best evidence, exclude review papers, case studies, review studies and studies that are determined to be "low evidence" and focus on randomized clinical trials or quasi-randomized clinical trials. However, like most of our dental research, there is a serious lack of studies that can be considered "high-level" evidence, large enough sample size, good research design and proper identification of study bias. This is a problem found throughout our scientific research and requires the reader to evaluate the quality of research on a study by study basis. Single versus Multiple Visits for Endodontic Treatment of Permanent Teeth (A Cochrane Review) by Manfredi et. al. 2016, included in their review, 25 randomized controlled trials, of which only 3 studies were found to be a low risk of bias, 8 unclear bias levels and 14 high bias levels. They found no evidence of a difference between single visit or multiple visit treatment in terms of radiological failure, immediate post operative pain, swelling or flare-up incidence, sinus tract formation or complications. There was moderate evidence that patients undergoing single step treatment were more likely to use painkillers over those undergoing multiple visit treatment. A Systematic Review of Nonsurgical Single-Visit Versus Multiple-Visit Endodontic Treatment by Wong et. al 2014 which reviewed a total of 47 papers of clinical trials on the subject. Meta-analysis showed that post-operative complications of both groups were similar. Neither group could guarantee the absence of post-operative pain. Neither single-visit or multiple-visit treatment had superior results in terms of healing or success rates. Single-Visit or Multiple-Visit Root Canal Treatment: Systematic Review, Meta-Analysis and Trial Sequential Analysis by Schwendicke et. al. 2017 included 29 trials (4341 patients), of which all but 6 showed high risk of bias. Based on 10 trials, risks of complications was not significant. Based on 20 studies, risk of pain was not significant. Based on 8 studies, risk of flare-up was higher in single-visit treatment. Conclusion was insignificant evidence to rule out whether important differences between these strategies exist. Outcome of Single- vs. Multiple-Visit Endodontic Therapy of Non-Vital Teeth: A Meta-Analysis by Almeida et. al. 2017 is a review of 17 randomized clinical trials of non-vital teeth. They found no difference between single or multiple visit treatment in regard to peri-apical repair or microbiological control. They did find that single-visit treatment results in 21% less post-operative pain. 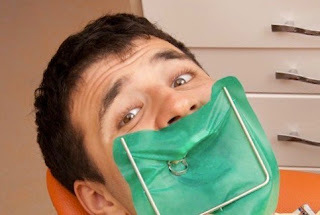 Single-Visit More Effective Than Multiple-Visit Root Canal Treatment? by Hargreaves 2006 is a review that includes 3 randomized controlled trials including 146 cases. In this review, included NSRCT of teeth with necrosis or signs of periapical bone loss - excluding pretreatment and surgical tx. It was concluded that single-visit root canal treatment was slightly more effective than multiple-visit treatment with a 6.3% higher healing rate. However this difference was not statistically significant (P = 0.3809). Single Versus Multi-visit Endodontic Treatment of Teeth with Apical Periodontitis: An In Vivo Study with 1-Year Evaluation by Gill et. al 2016, found no significant differences in healing between teeth treated in single visit, multi-visit without dressing and multi-visit with CaOH dressing. Treatment Outcomes of Single-Visit Versus Multiple-Visit Non-Surgical Endodontic Therapy: A Randomized Clinical Trial by Wong et. al. 2015, was a university study performed by general dentists, on 220 patients followed for at least 18 months. They reported no significant difference in success rate or prevalence of post-operative pain between the single visit or multiple visit treatments. In my opinion, the evidence does not support that multi-step initial endodontic treatment, even of necrotic teeth, has any significant improvement in outcomes over single step treatment. In my experience, patients usually prefer to have their endodontic treatment in single-step treatment as well. BIAS ALERT: In an effort to identify my own biases, I would share that I perform the majority of my endodontic procedures in a single-step. I do use CaOH occasionally on retreatment cases that are not healing as expected or when I run out of time to complete treatment in a single step.